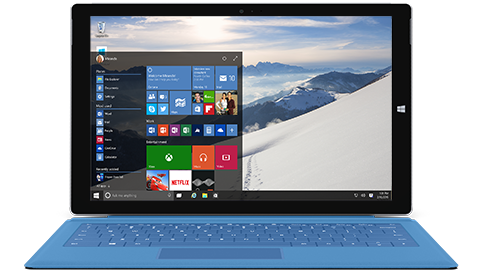 Microsoft has made the latest version of Windows 10 Technical Preview available. You can download the Windows 10 9926 ISO now and install it on any supported PCs you want. It’s available in x86 as well as x64 versions and in multiple languages. This new release comes with Cortana, the Xbox app and other features that Microsoft showcased in Windows 10 event earlier this week. You will need to sign up for Windows Insider program, which is free, before you can download the preview release. Also, be sure to go through the system requirements before you attempt to download / install Windows 10. Step 1: Head over to Microsoft Windows 10 Technical Preview page. Step 2: Click on “Sign in” link on top-right corner of the page (just below the search bar”. Step 3: Sign in with your Microsoft account. You will then be redirected to Windows Insider Program page. Step 4: Sign up for the program after checking the appropriate checkboxes. Step 5: After you are signed up, you’ll be redirected back to the Win10 download page. Step 6: Click on “download the ISO files” link. Step 7: Scroll down on the page, you will see “Download Links” with a list of languages. Step 8: Click on the language of your choice and you will see the x86 and x64 ISO links. Step 9: Click on appropriate version (x86 edition or x64 edition). File name will be like “Windows10_TechnicalPreview_x64_EN-US_9926.iso” for 64bit and “Windows10_TechnicalPreview_x32_EN-US_9926.iso” for 32bit version (in US English). Step 10: Save the ISO file at a location of your choice. Windows 10 9926 build will now start downloading. Once the ISO file has been downloaded, you can burn it on a DVD or extract it to a USB and install on your PC.